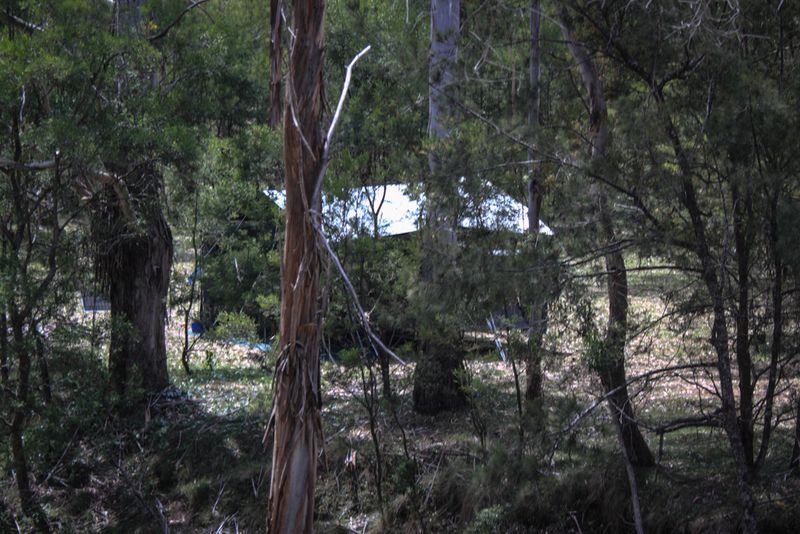 Gordon Country bush camping.There facilities are. S, $, T, SH, BR, FP, DP, but only a sewage pit, there is a river, they say if you boil it you can drink it, we did not. For these abbreviation’s go to my keyword & symbols page. Gordon country is 46 km from Aratula at Gladfield at the driver reviver, turn right towards Goomburra, 10 km to Gumburra hall, turn right into Inverramsey Rd, follow for 20 km. Or 50 km east of Warwick. Last day of the trip, packing up, we have all day so taking our time. This was home for 12 days. well camouflaged.